You have TWO WEEKS to play along - Deadline to enter is Friday, March 4th, 2015 at Midnight CST. The winners will be announced on the NND blog on Monday, February 7th. 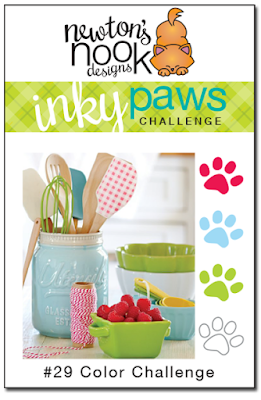 Post your project to your blog or to an online photo gallery such as Flickr, Pinterest, or splitcoaststampers (on splitcoast please use keywords newtonsnook and IPC29). 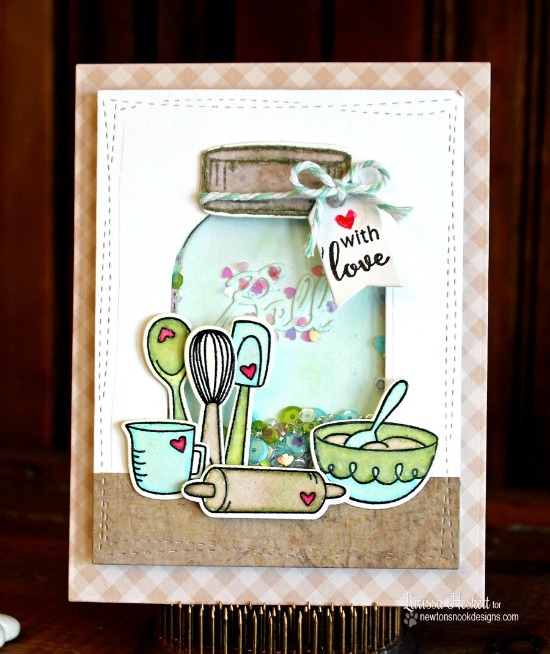 Yuki created a fun kitchen window scene using our new Made from Scratch Stamp set and Made from Scratch Die Set! What an adorable birthday card! Danielle created this adorable scene using sever NND sets. The kitties are from our Newton's Antics stamp set and the trees are from the Whispering Pines stamp set. She also used the fun "meow" die cut shape from our new Newton Unwinds Die set! 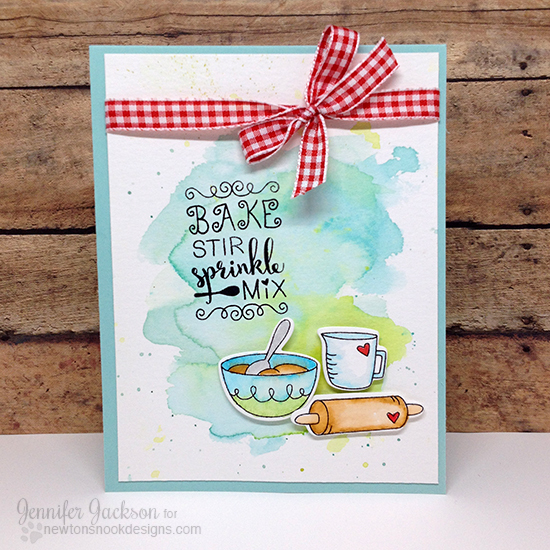 What a beautiful shaker card by Larissa! I love how she used our new Made from Scratch stamp set and Made from Scratch Die Set to create this awesome kitchen themed card! 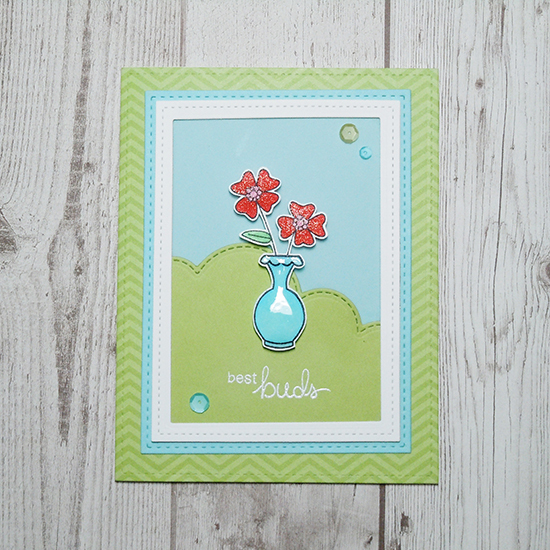 Our February Guest Designer, Ka Slagoski played along with our Versatile Vases Stamp Set! I love the pop of red on the flowers in the center! So pretty! Here's one by me (Jen) - I also used the new Made from Scratch Stamp set and Made from Scratch Die Set! I added some images to a watercolored background and added the red gingham bow to add to the kitchen feel!